Happy Easter and happy writing to all the bloggers! First of all, I feel very honoured that I’ve been nominated by the following lovely bloggers: sheemazaman, Sadia and Bella Mira. So thank you all for the nomination!!! It really means a lot to me and I’ll be happy to pass this Award to others. 🙂 For all you (new) bloggers out there check out their blogs for the best fashion inspiration and makeup reviews! Since I’m a newbie in the blogging world, I didn’t know such award existed… until I was first nominated by the dear sheemazaman. After a bit of research I now understand the Liebster Award and its rules. 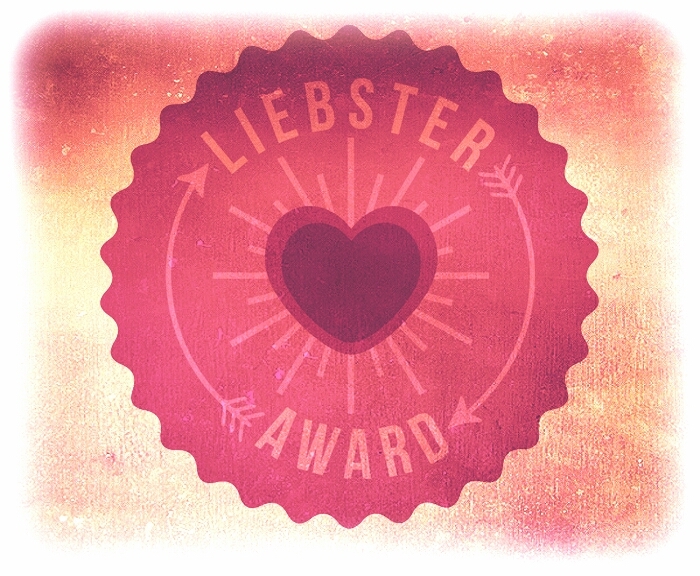 Liebster means “dearest or favourite” in German and is only given to bloggers by other bloggers. This award supports new bloggers (such as myself) and connects them to other bloggers in the blogging community. 3. Answer 10 questions posted by the presenter. 4. Nominate 5-10 bloggers who you feel deserve this award and who have less than 200 followers. 5. Ask your nominees 10 questions and let them know that they’ve nominated. Although I’m a bit late in answering the 10 questions, I took the time to answer them while I was travelling. I have chosen questions of my first nomination by Sheema (sheemazaman). Movies. Although I like to read on my Kindle, I prefer to watch a movie at the cinema with my boyfriend. Q2. Early bird or night owl? Night owl, without a doubt! I can wake up early, but I tend to stay up late. Sandals. Heeled sandals or wedges are my favourite, because they make me feel more feminine. Hmmm… I’d have to say both! It really depends on the mood I’m in. Q5. Dress up or dress down? Dress up! Hahaha… my friends call me a diva, but I always tell them: “You never know who’ll meet.” It really has worked in my favour as I’ve met celebrities such as Michael Bubblé and Omarion. Definitely got their attention… hihi. Sunset. I’m born and raised in the Caribbean, so I really enjoy the sunsets. Especially that moment when sun goes completely down, I like to “see” the final glow of the sun. I prefer to call, because whenever I send a text I feel like the receiver is taking long to answer or is misinterpreting my text. Calling is a better way to communicate effectively. Summer. I like this season, because I get to put on flowy dresses. Yet I cannot stand heat waves! Hmmm… this question is really broad. 🙂 I’m torn between the two! If it’s fashion and gastronomy related, then I’m more of a modern person and keeping up with the trends. But if it’s art and architecture related, then I prefer the classical designs. Hahaha, this one seems like a “spin-the-bottle” question. I’d definitely go for dare… as long as it doesn’t involve eating insects or animal intestines. Why did you decide to join the blogging universe? If you would go on a trip, name 5 things you need to take with you. Do you prefer fish or meat? Are you planner or are you spontaneous? What’s your favourite perfume scent? Who’s your favourite artist or band? Do you prefer a sandy beach or a snowy mountain? If sky’s the limit what would you do next? To the Nominees: Goodluck with the questions! Please do let me know if you’ve answered the questions. I’m looking forward to your answers. nice to talk to you again, hope you are doing well and I am happy to tell that I answered your questions. Firstly, I want to apologise that it took so long, but I was soo busy with university. I had so much fun while answering them and I enjoyed your new posts. So happy to hear from you and that you’ve gotten a chance to answer my questions. Can’t wait to read it. Sometimes we get caught up in our lives… I also have other nominations/questions from other bloggers to answer. Woops! If only we could dedicate more to time to blogging.. hihi..